This is a page I wish I never had to have on my site. Welcome to the blacklist dear visitor. This video is one of the most disgusting things I've ever seen. Be warned, it actualy made me both cry and puke, and I'm not a sensitive person. Once you've seen it I doubt that any of you will be able to forget it. Fellow-models, please let's work for an animal friendly fashion industry. 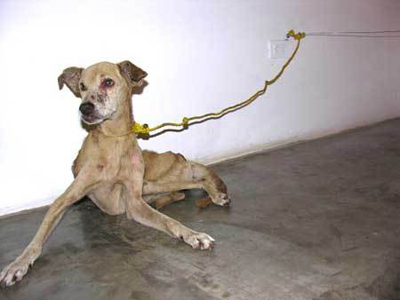 Never wear fur, not for any photoshoots, not for any amount of money!!! I know I wont. and that goes for film-productions also. 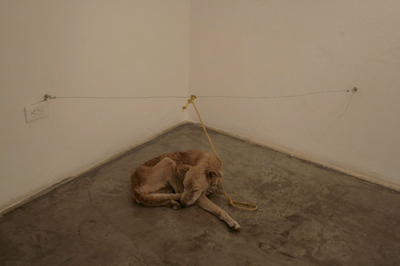 rope in an art gallery, and starved him to death. 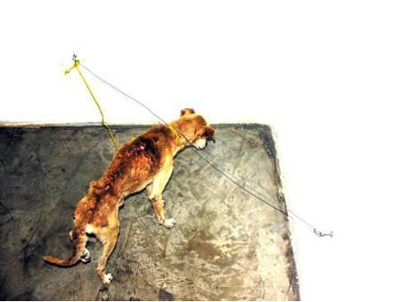 shameful 'masterpiece' based on the dog's agony, until eventually he died. Does it look like art to you ??? But this is not all... 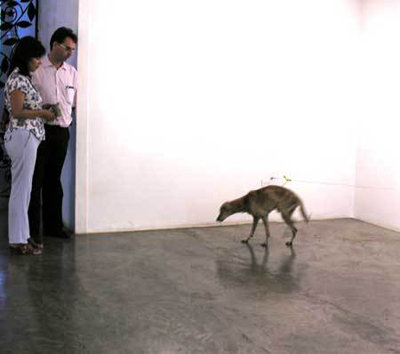 The prestigious 'Visual Arts Biennial Of The Central American' decided that yhe 'installation' was actually art !!! 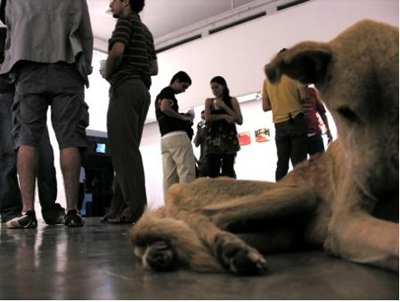 So Guillermo Vargas Habacuc has been invited to repeat his cruel action for the Biennial Of 2008 ! It's free of charge, there is no need to register, and it will only take 1 minute to save the life of an innocent creature.